Children have to learn many skills that they need to use independently later in life. Self-sufficiency is one of the goals all children are working toward, so they can look after themselves as adults. Even though it can be sad to watch them becoming a little more independent every year, it's also a good thing. You know that they'll be fine once you send them off into the world. Looking after their own health is one of the things children slowly learn as they grow up. It's important to teach them the skills they need, including how to look after their teeth. When you’re far-reaching about cooking high-quality dishes, you’re going to need the right tools. That means getting the best freezer and fridge to preserve your ingredients. After that, you also need the right kitchen equipment for food preparation such as the best frying pan for induction stovetops. 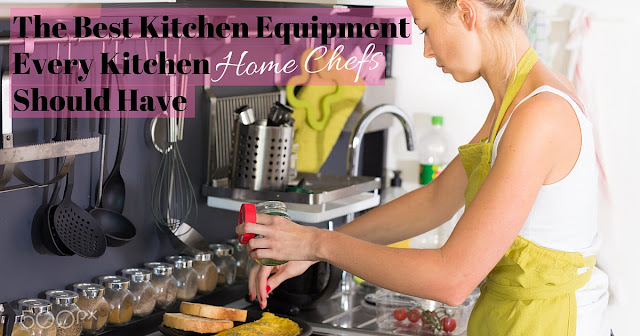 Again, you need to save up to get high-quality items for your kitchen, so that everything is easier and food preparation is a pleasure and not a chore. When they are little, it's easy to think about all they ways we look after our kids. We feed them, wash them and comfort them when they are sad. But what can we do for the as they get older and reach adulthood? Luckily, I have a while to go before I need to worry about my little one being a grown up, but it never hurts to start thinking about the future. A significant way of looking after your kids, even when they are fully grown, is to offer them unconditional emotional support. Just because they are adults now doesn't mean they are not going to feel confused or sad at times and need some advice or comfort from their parents. It's critical to offer this with as few conditions as possible. This is because if you attach conditions to your love, your child may be reluctant to come to you for support. If you want a close relationship with you child into adulthood, provide unconditional love from an early age, you’ll be so grateful you did. When I was a kid, I honestly hate washing the dishes. That time we still use the "traditional" bar soap to clean our dishes. The smell of the soap remains and sometimes the dish taste like soap if you will not wash it thoroughly. Thankfully now we have a broad range of dishwashing liquids in the market that we could buy to clean our dishes with. But what product is effective, safe and budget-friendly? Now that I am a homemaker, I like my family to be always protected and give them the best effort when it comes to cleaning our home as well as cleaning our dishes. Just a week ago, I got an email that asked if I could review a new dishwashing liquid. Even though I am a bit hesitant at first because I thought already got the "best" dishwashing liquid at home, I said yes and sent my details for them to send the product. 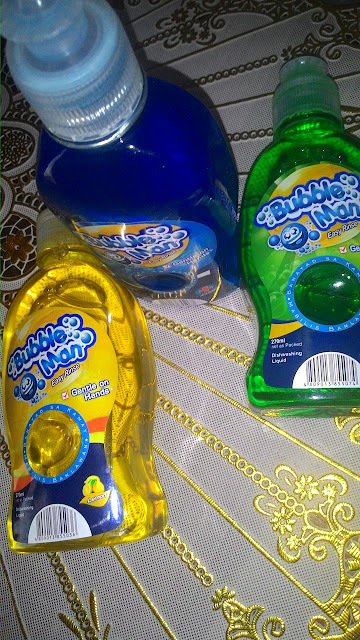 I received the Bubble Man Dishwashing Liquid in 3 variants (Lemon, Antibac, and Kalamansi) in 270 ml each bottle. After trying the product for a week, I am sharing with you all my insights and observations regarding the product mentioned above. Bathrooms don’t have to be either functional or bland. Check out these bathroom ideas and add some style to your bathroom and your home. We don’t often think about having rugs in our bathrooms. Usually, that’s because we don’t associate rugs with rooms that get wet. But rugs can do a lot to improve the appearance and warmth of a bathroom. But why stop there? You can experiment with bath rugs and think about how to make them the centrepiece of your rooms. One cool idea is to go with a striking pattern, like a mosaic rug to complement a tile floor. Is It Possible to Move House Quickly and Smoothly? Anyone who has moved house before will know that it can be a long and frustrating process. It often seems like there is no way of making the process simple or smooth. But sometimes you only need to move house quickly, for whatever reason. When that’s the case, how can you make the move go quickly and smoothly? First of all, you need to think about how much money you are going to ask for. Your property is obviously one of your most valuable assets, so you don’t want to sell it for a small amount. But you will find it much easier to clinch a sale if you make sure the price is as low as it can be. When the asking price of the home is too large and not realistic enough, finding a buyer is so much harder. Everyone is looking for a bargain, so why not offer them one? And if you’re really in a hurry, you could sell to a home buying company. They specialise in buying homes quickly, but the prices are usually below the market rate. If you take everything with you, then it will take longer to pack and move. If you’re in a hurry, you might have the time to do all that. That’s why it might be a slightly better idea to declutter as you pack. Then you won’t have to take as much with you, and you’ll get rid of stuff you don't need along the way. Some people even leave large items in their old home for the people who are moving in. This gives them something for nothing, and; therefore, it can make it easier to find a buyer. On top of that, you will be able to move out in a much swifter and easier way. It is one of those things which everybody has to consider at some point. Knowing your options when it comes to contraception is something which everyone has to come to terms with. The truth is, there are now so many possibilities that it is not necessarily a cut and hard choice. Increasingly, as time goes on, there are more and more contraceptive methods. You would be forgiven for not knowing everything there is to know about all of them or even the majority of them. With that in mind, we have put together this guide on contraception. In this guide, we will look at the most popular contraceptives, along with their pros and cons. The aim is for this to help you make the right decision for you. With that in mind, let’s dive right in. It’s 2016, and the phrase ‘home security’ means a lot more than just a basic lock and key. With the amount of technology we now keep in our homes, burglaries have never been more costly, and it’s important we stay well-defended. So, if you’re on the fence about whether your property needs a security boost, look no further! Here are five critical signs to watch out for, that could signify that change is needed. Whether your job demands a lot of travel or you simply don’t spend your leisure time at home, you need some protection. With the dawn of the ‘Internet of Things,’ it’s never been easier to keep your house secure when you aren’t in it. One way of doing this is by investing in wireless CCTV systems. The footage on these can be streamed to phone and will notify you of any sound or movement. This way, you’ll know about intruders in an instant, and can take immediate action. Heading into Summer means warmer days and the sun beaming down. That tinge of heat on your skin. The world just seems a nicer place when the sun is out. But after winter, the chances are we may have gained a few extra pounds from all that warming comfort food. But don’t despair and don’t do anything extreme. I thought now would be the perfect chance to share with you some of the best-kept secrets for a healthy weight loss. Everyone wants to feel as good as they possibly can in their own home. Achieving this, of course, is not always easy - but it is always worth it. No matter how much of your time and energy it takes, making your home a happier place to be is an essential part of leading a good life. That being said, it can sometimes be hard to know what a happy home looks like, or how to get there. No two people have the same idea of what a comfortable home is like, of course. But whatever your idea of it is, it is a beautiful idea indeed to try and make it a reality. In this post, we will be looking at some of the most commonly cited qualities of a happy home. How many of these do you agree with? And how true are they for your home right now? Are you looking to buy a new home? Have you recently purchased a home to renovate? Are you looking for investment for the future? If so, you’ve come to the right place. Bricks and mortar often represent a sound financial investment. But what are the best ways of adding value? Here are some suggestions to help you create a dream home and enhance your financial assets. A loft conversion is worth considering if there is potential to build additional rooms. A conversion could make a small house suitable for a growing family. It’s also an excellent way to appeal to a larger target market when it comes to selling. If you’re looking for renovations that add value to your home and you have excess space in the loft, this is the place to begin. The cost of an attic conversion is highly dependent on the size and scale of the project. If you are thinking of renovating your loft, it’s wise to ask for several quotes. You may also find that different building firms give you various ideas. Once you have everything on the table, you can then make a decision about what you want to do and who you want to do it. Popular ideas for attic conversions include bedrooms, bathrooms, offices, studios and children’s playrooms. Are You Up-To-Date With The Biggest Fashion Trends Of 2016? As a mom, I often feel as though I’m falling out of fashion. It happens to all of us at some point I suppose. One day, your kid will come in talking about the latest trend, and you’ll have no idea what they are talking about. You’ll nod along as they explain the latest craze and then, if you have time, you’ll google it later. It’s at that moment that you realize you’re no longer a cool, adult. You’ve reached the age of the embarrassing parent. However, you don’t have to reach it just yet. Here are some of the biggest trends of this year to help you stay up to date. With Father’s Day right around the corner, it’s getting to that stressful time of year again when you really need to deliver with your Dad’s gift. Now you’ve got the party sorted, you can concentrate on the gift. So, if you’re stuck for ideas, then I’ve got five awesome ones that I reckon will really make his day - check them out! A weekend of fun awaits Dads everywhere as SM Supermalls celebrates Father’s Day, with great gifts, hearty dinners and exciting entertainment treats all set to make the occasion more special and memorable. Whether you’re celebrating an anniversary or one of your children’s birthday’s, throwing a party at your home can be a great option. It saves on costs and can make your celebrations a whole lot less stressful to organize, as there’s no going back and forth to the venue with supplies. Of course, the venue aside, even if you opt to host the party at your home, there’s still a lot that needs to be organized. To ensure that the next party you throw is a soaring success, take note of the useful tips and advice below. Before you do anything else, you’ll need to create a list of guests. This is important as without numbers; it’s almost impossible to plan the rest of the event. Make sure to take the size of your home into account when thinking about the guest list as there’s nothing worse than an overcrowded party. If it’s a children’s party, aim to have five children per adult in attendance. This will make keeping thing under control, much easier. It can be so easy to be rushing around after the kids that you don’t think about yourself in the morning. But it’s so important to have the best start in the morning so that the rest of the day runs smoothly. Here are some ways moms can have a great start in the morning. Fish can make excellent first pets for your kids. They still require looking after, which is ideal for testing their levels of responsibility. They're also lots of fun to watch, and they can be interesting to learn about too. Some fish even need a lot more care than you might think, so there will be more to do than simply feeding them and cleaning the tank now and then. If you want to start an aquarium, you have to begin somewhere. Setting up your first setup can be a little confusing if you're not sure what you need. Follow these steps and get your kids to help you out. Most of us do our best to reduce waste. Not only is it harmful to the environment, but waste can cost us a lot of money too. Leaving lights on or running the heating when we’re not even home increases our energy bills. And excess waste destined for landfill sites does no good at all. So how can you make your home and lifestyle green and save money on your energy bills at the same time? Solar panels are a very popular way to reduce the cost of our energy bills. They also reduce the demand on the grid, so they’re good for the environment. Using only the power of sunlight, your home can enjoy free energy from a natural, sustainable source. And with the right contract, you could even earn money by selling your excess power back to the grid. Read a guide to solar panels to find out which setup is best for your home. Next time you renovate or decorate, consider how you can save money on lighting choices inside as well. When you’re a parent, single or otherwise, your schedule rarely thins out. Most of us work these days, and as soon as we clock off, it’s all about the kids. After football practice, help with homework, and the regular struggle of getting them to eat healthily, there’s very little time left for all the other things on your list. To make things easier, here are a few outcall services you may not have known about. Sometimes things go wrong at home. The washing machine may throw a tantrum, or the radiator might leak. Maybe the freezer stopped working and all your food turned into a soggy mess. These things always seem to happen when we are really busy too. It means we’re stuck in the middle of a disaster trying to juggle a lot of things. And we simply don’t know what to do. But what if things got even worse? The weather, burglaries and vandalism can all cause disasters that render your home unusable. How can you cope with a home disaster on that scale? Having a plan of action should disaster strike will make you better equipped to deal with it. Most families have a fire escape plan. They may even practice it from time to time. But do you have a plan for dealing with a flood or an act of vandalism? A go-bag, like your baby’s change bag, could make an enormous difference to your family in the aftermath of a home disaster. A change of clothes for everyone and some emergency cash means you can find accommodation, food, and freshen up if your home can’t be lived in. If you’ve come home to find the property underwater, chances are you won’t be able to live there for a while. The trouble with flooding isn’t the water. It’s the sewerage and other contaminants that pollute your home long after it has dried out. Find a company like http://restorationeze.com that deals with the type of disaster you’re confronted with. The quicker the professionals can get there, the quicker you can have your home back. Have you recently bought a house or moved home? If you’re planning a major overhaul or you’re keen to inject your own style and personality, here is an essential checklist to help you out. Follow these golden rules, and you’ll be enjoying your beautiful new home before you know it. Are you taking on a project? Would you like to alter the layout of your new home? If so, it’s likely that you’ll need the help of builders and architects. After you’ve had structural surveys done, you should be able to determine what kind of building work you need to complete. If there are existing issues, such as damage to the walls or supporting structures, missing roof tiles or damp, make these your priority. With problems like this, the longer you leave them, the worse they get. Call in the experts and ask for some quotes. It’s also wise to ask for a rough timeframe so that you know when you can start thinking about the next steps. Once the structure of your home is sound and you’ve addressed priority issues, think about any other changes you’d like to make. Would you prefer a large, open-plan kitchen? Do you want to knock through upstairs to make a family bathroom? Is there is a loft space calling out for conversion? If you are planning to do work, you may wish to complete it before you move in, if this is possible. If you’re not sure whether or not to take the plunge, ask your architect to show you some images and flick through some magazines. Get some ideas of what space could look like and get some quotes. Loft conversions are one of the best ways to add value to your home. If you have vacant space, an attic conversion could be an excellent long-term investment. Likewise, with a large kitchen, you may find that spending money at the beginning pays off. For most people, the kitchen is the first room they look at during a house viewing.